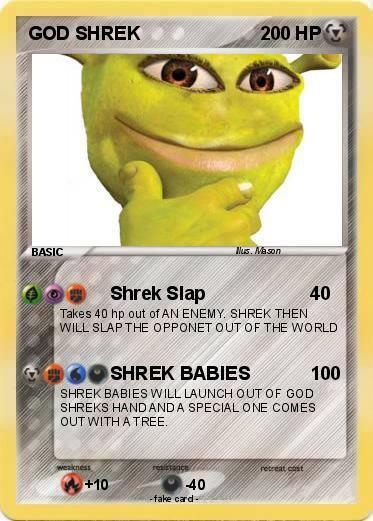 SHREK BABIES WILL LAUNCH OUT OF GOD SHREKS HAND AND A SPECIAL ONE COMES OUT WITH A TREE. Comments : The unitato is a rare and fragile creature, there are only about 5 of them in the world. having one in your hand is an great experience. Just don't eat him.